Should I go to law school for a career in social justice? And how do I do it? I’ve been getting this question often enough that I decided to make this into a blog post for anyone else who might be thinking about going to law school for future in social justice, human rights or other public interest reasons. Do I need to go to law school to work in social justice? You need to be a lawyer if you want to litigate social justice issues in court, because you have to be a lawyer to practice law. Otherwise, there are many ways to work in social justice without a law degree. You can be an educator, a researcher, an analyst, an organizer, an activist, or a writer. So no, you don’t need to go to law school. Also, keep in mind that just because you have a law degree doesn’t necessarily mean it will be easy for you to find work in social justice. However, having a law degree can certainly help. Law school teaches you to analyze and reason in a manner way that can be very useful for social justice work. All of the social justice jobs that I have worked after law school have required a law degree, even though the work does not necessarily involve the formal practice of law. And I won’t lie: people assume that you’re smart, so the credentials make you look good as a job candidate. So even though you don’t need to, should you go to law school? Law school is competitive. I don’t mean that law school is hard to get into; I mean that once you get in, law students are graded on a bell curve. Your grade is your ranking. No matter how hard you and everyone else have tried, only a certain number of people get A’s, most people get B’s and a certain number of people always have to get the C. Even if everyone is brilliant. So you are, in a sense, competing against your own classmate friends. I used to describe it as being like the Hunger Games, although that’s obviously an exaggeration. This is important because people who want to work in social justice often are empathetic and very sensitive (you care about people, right? ), and working in a tough environment like law school can feel soul-crushing at times, and sometimes takes a toll on your mental health. Law school is expensive. Even if you’ve managed to deal with student loans from your undergraduate degree, law school is three more years of school. If you’re already in debt, having a bit more debt doesn’t seem so bad now, but many lawyers will tell you that once you graduate and have to start repayment, you are going to start to wonder if you can actually afford to take that low-paying public interest job when that Bay Street articling position pays so much better. Don’t fool yourself: swimming in debt feels awful and it may prevent you from taking the career path you want to take. Whatever you decide, don’t go to law school just because your parents want you to, or because you don’t know what else to do. Those are the kinds of people who often struggle once they get to law school. I especially encourage you to go to law school if you come from an underrepresented community. For example, Nunavut needs more Inuit lawyers who understand the particular cultures and values of the land far better than any lawyer who grew up in Ontario will. Go for it and change the world! And don’t let the bastards grind you down. You don't have to be a lawyer to work in social justice. It helps to be able to sing on key though. Again, don’t go into a lot of debt if you can. Not everyone is privileged enough to avoid debt, but do your best to mitigate it. Work for a few years to save up before you go to law school. Choose a law school that has lower tuition: Canada is not like the States, in that all of the Canadian law schools will give you an acceptable legal education that will prepare you to become a lawyer. Work summer jobs. Budget carefully. Make your own opportunities. The best advice I ever received from a public interest lawyer was to find your own funding and then propose a project to the organization you want to work for. Why wouldn’t they hire you? There are a lot of funding sources out there; some law schools even offer funding awards for public interest projects you propose. Be creative. Network like crazy. Start up your own charity or business, if you have a great idea that no one else has thought of. Educate yourself with as many different perspectives as possible. This is especially the case if you come from a privileged background. It doesn’t matter if you want to work for women’s rights; you should still learn about disability issues, refugees, environmental justice, colonialism, etc. It’s called intersectionality, and the broader perspective you get, the better person you will be as a social justice activist. Plus the social justice world doesn’t need any more ignorant assholes. So check your attitude and open your ears. I especially encourage you to maintain relationships and friendships with people who are NOT lawyers or law students, so you don't get stuck in the goldfish bowl of law school. Well, it’s okay to sell out a little. If you have the opportunity to get valuable work experience in the area that you want to work in, then give it a try. For example, maybe you want to be a refugee lawyer helping people with their claims, or an Aboriginal lawyer working on First Nations land claims. Working for the government in these areas will actually give you great relevant experience and valuable perspectives, even if that’s not what you want to do forever. Be creative about where you can get experience. If your reason for going to law school was to work in social justice and not necessarily to be a lawyer, then remember that there are a lot of great alternative law jobs out there. Stuff where it is useful to have a law degree, but you aren’t necessarily practicing law, in the eyes of the law society. Working in social justice is hard. It’s emotionally-draining at times, and at all time you are carving your own path. If you want to be a corporate lawyer, Bay Street firms will come to your campus to schmooze you and the law schools will set up on-campus interviews. All of that is set up for you. This is not the case for social justice. It’s a constant uphill battle, often frustrating, discouraging, and exhausting. But it’s also rewarding. It may not always feel like it, but you are doing meaningful work and you are helping people. If you have a deep-seated desire to work in social justice, then go for it! The world can be a terrible place, and it needs people who want to help. Whether it’s with a law degree or not. I've been working on a really cool art project lately with Ottawa-based artist Mailyne Briggs, who has been documenting her fascinating journey through the Zero Waste philosphy. The idea is to try to reduce one's garbage output to almost zero. It involves significant lifestyle changes (like not buying things that come in disposable plastic wrapping), but if we all became a little more conscious about waste reduction, you can only imagine the significant impact it would have on our landfills and the environment in general. This Sunday, at Winston Square in Westboro, we're going to be doing a very unique art installation where Mailyne will be creating a work of art out of all of the garbage she's produced since she adopted the Zero Waste concept in February - apparently she can fit it all in a jar. While she's doing this, I'll be performing music to accompany her, using my synths and my loop pedal to create a soundscape. I'll also be wearing this dress, custom-designed for me for this event by Ottawa fashion designer Brandi Tweed of Sabrina Jade Modeling. The music I'll be playing are pieces that I composed for this event, all along the theme of waste reduction. One of the tracks features an interview I did with Iqaluit resident Jim Little, who has been running one of the only composting programs in Nunavut for years. Finding True North wrote a great feature about him a while back, and setting his interview to dance music was a lot of fun. Anyway, if this interests you and you're in Ottawa, come see this cool performance! I'm still here, I promised! It's been a hectic couple of months - I've now moved from Cambridge Bay to Ottawa, so I'm sorry I've been absent. I've still been writing, mostly in form of music reviews for Apt613. My latest review was about South African jazz pianist Abdullah Ibrahim - check it out! 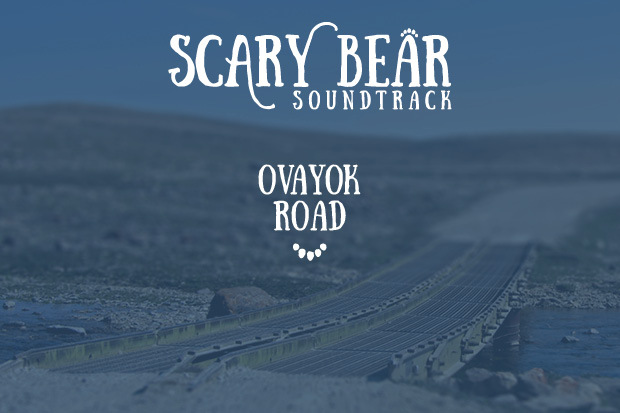 Lately, my band Scary Bear Soundtrack has been getting ready to release a new album that we wrote and recorded entirely in Cambridge Bay. We're running an Indiegogo campaign to raise funds to produce them on CDs. If you're interested in ordering a copy of the album for yourself, plus special perks, you should help us out here! We'll be releasing the album on Friday, August 14 in Ottawa at our album release party, so if you're in Ottawa, you should definitely come check it out. Earlier this year, we entered our song Fault Lines in CBC Music's Searchlight contest for Canada's Best New Artist. We've been enjoying discovering new music and making musician friends, but we've also been honoured to have been voted as the regional finalist for Nunavut! Today, we also found out that we made it to the next round, the top ten acts across Canada. We feel so lucky! Our song Fault Lines is about violence against women, and supporting survivors of sexual violence. It's a huge problem everywhere, but especially in Nunavut which sees extraordinarily high violent crime rates compared to the rest of the country. I made a series of Arctic postcards explaining the lyrics to the song, which you can check out here. We're also working on a music video for our single Fault Lines, and as part of it, we're asking people to send in photos of themselves with their eyes covered, holding signs that say "End violence against women". You can check out some of the photos here at the Fault Lines Project, and don't forget to send your own photos in! 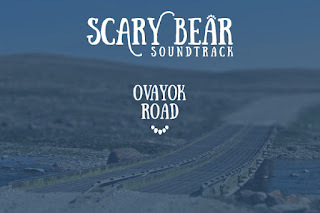 Fault Lines will be on our upcoming album "Ovayok Road", recorded entirely in Cambridge Bay, which we'll be releasing later this summer - for now, you can preview some of the songs from the album here. Also, don't forget to vote for our song Fault Lines here! Also, a huge thanks to the ladies at Finding True North for recommending this blog in their list of favourite Nunavut blogs! 1. Someone had planted a bomb in my luggage. Do bombs vibrate? Not wanting either scenario, I immediately dug through my suitcase (with admirable courage, I should add, given Possibility #1) and found the source of the mechanical buzzing. It was Rob's beard trimmer. It had been a dramatic trip so far. When we landed in Yellowknife after leaving Cambridge Bay, we got off the plane just as the boarding call for our connecting flight to Edmonton had been made. But we had to go through security. From the other side of the security gate, we watched as passengers lined up for our flight...and as the line grew smaller. By the end we got through security - an exercise that seemed purely ceremonial, because I accidentally had my fishing knife on me and nobody seemed to care - the last of the passengers had gone through the gate. We had just barely made our connecting flight, literally at the last second. Our next connecting flight would turn out to be just as dramatic. We left Edmonton late and landed in Vancouver with just fifteen left to somehow go through security again, US customs and border security, and then sprint across the entire freaking Vancouver airport to a tiny little gate in Narnia to board our connecting flight to Portland. We literally ran. Amazing Race-style. Carrying all of our carry-ons. I felt so out of shape. We arrived at border security, panting and sweating like any respectable person you'd like to see at your national border. The security official told us we had to wait until our luggage was transferred. In the meantime, while we caught our breath, the security official chatted us up about a suspicious Muslim man she had seen in her neighbourhood the other day. It was an odd moment, especially since she was Muslim herself. I wasn't sure what to say. Was this a test? In the end I just smiled and nodded, and eventually we got to go through. We made our plane, but barely. And definitely panting and sweaty. But while we were in Edmonton, staying overnight for our layover, it was good to have a chance to relax. I had stepped off the plane in Edmonton, I felt hot and confused. I had grown accustumed to the -45 degree winter of little Cambridge Bay. All of a sudden I was in the city, hot and confused. There were loud sounds outside our hotel room - were those gunshots or fireworks? (It turned out to be fireworks.) But eventually I let myself unwind. It was nice to have a chance to explore Edmonton a bit as well. We took a cab to Whyte Avenue, which everyone assured us was the cool neighbourhood. We had forgotten about city concepts like traffic jams and commutes, so it took us a while to get there, but we enjoyed the sights along the way. The endless flat prairies. The signs for the snow hill and the Edmonton gun club. The billboards for Peelerz ("WE SUPPORT BIG OIL"). The endless flat prairies. Yes, Edmonton's pretty flat. Our last day in Portland. The boys ate their eggs benedict brunch while I sipped on another mimosa as we watched the garbage truck painstakingly line up garbage cans down the street in a neat and tidy queue so the worker could attack them all on the same front. We discussed what we wanted to do with our day. We'd seen quite a bit in the last few days, but there's just so much to explore in Portland. We finally decided on a tour of the brewery scene in Portland. Unfortunately, none of the formal guided tours were running that afternoon, but we didn't let that stop us. We decided to do our own self-guided walking tour of the various microbreweries downtown. Yes, I know that some people would call that a pub crawl, but we call it tourism. And so, after grabbing a bite from the food trucks down the street, we headed out for some day drinking an epic pub crawl an educational brewery tour. Our first stop was Rock Bottom Brewery, which had a restaurant connected to it. This place, like many other breweries, gave you the option of ordering flights, smaller glasses of the different kinds of beers that the brewery makes, so you can sample them all. Our next stop accidentally turned out to not be a brewery at all, but a famous stop nonetheless. We were at Huber's Cafe, Portland's oldest restaurant, operating since 1879. You could real feel the sense of history about the place. The owner, a friendly older Asian-American man whose family has operated Huber's for generations, took us through the story of the place, pointing out which parts of the restaurant were still original, and showing explaining the portraits on the wall. He told us how in the old days, if you ordered a drink, you would get a free turkey sandwich. The original bar had discreet entrances so politicians could come and have a relaxing drink without people recognizing them. We didn't have their famous turkey meal or Spanish coffee (made with Bacardi 151!) but we did grab more beer and coffee and enjoyed the quaint ambience of the place. Next, we moved to another brewery, Deschutes. We ordered another flight of tasty beers, and also some food, as Deschutes had a pretty impressive food menu as well. Portland just knows how to do food and drink right. We had planned to move on to Rogue after this stop, but we were feeling mighty sleepy by this point, so we decided to head back to our hotel for a little siesta. After a refreshing nap, we grabbed more food from the food drinks and headed out to check out the live music scene in Portland. 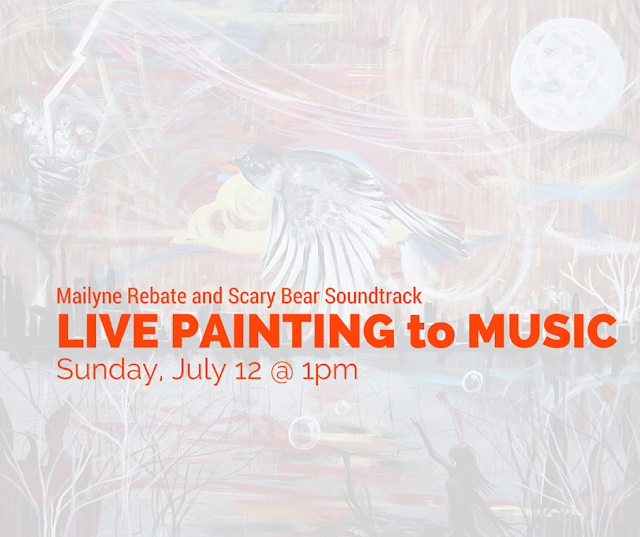 Besides brunches, beers, bikes, and hipsters, Portland is also famous for its thriving artsy music scene. During the 1990s, house shows were popular - concerts held not in large formal music venues like theatres but rather in the living rooms of people's homes. This is where musicians like Elliott Smith lived and thrived. Portland continues to be home to many amazing musicians, including Carrie Brownstein of Sleater-Kinney. So we definitely wanted to check out a live show. We caught a show at the Star Theater, where a full lineup of indie bands were performing. It was a good mix of local bands and touring bands from other parts of the States (Cherry Glaczrr, Summer Cannibals, Sunflower Bean, The Buttertones, Underpass). Portland seems to do live concerts right. A lot of the shows are all ages, which means teenagers can come and be exposed to all sorts of live music. But it doesn't mean they don't serve drinks; they have a separate section for those who are over 21 and want to enjoy a can of Pabst beer while listening to the music. The alcohol section sort of has an "old people" feel to it - it's off in the back, with seats, while the all ages section is much more lively at the front of the stage where all the dancing is. But I think that's how it should be. It's also a great way to avoid spilling beer all over other people. It was a great way to end our trip to Portland, the magical city with so many things that I'm going to miss. We're definitely going to have to come back someday! Monday morning. While the residents of Portland were sipping their fresh organic roasted coffees to get ready to bike to work, I was nursing the aftermath of a late night out enjoying Portland's nightlife. Luckily Portland has a solution for rough mornings. Portland has epic brunches. People get into heated arguments about which place serves the best brunches, and googling "Best brunch in Portland" will make your eyes hurt. It is an expected practice that you will wait an hour in line outside before you get seated. And no, they won't take reservations. Portland is famous for its brunch scene, so much so that Portlandia did a full episode on brunch (here is a shortened versions with all the asides cut out). Luckily we didn't have to wait over an hour for a spot, because it was a Monday morning and, as I mentioned, most respectable people go to work. But we were on vacation. We hit up Besaw's, a place recommended by a friend from an earlier night (I don't actually remember whose friend, because she wasn't mine as I did not know her - we were a few drinks in - but she was certainly someone's friend, I'm sure). It was delicious, and once again I was tempted to order every thing off the menu. Why oh why don't I have multiple stomachs? After our delicious we wandered through the Northwest District, which had a lot of lovely shops and restaurants. This also seems to be the neighbourhood where Simpsons creator and Portland native Matt Groening drew the inspiration for many of his Simpsons characters, as the streets has names like Flanders, Kierney, Lovejoy, Quimby. Pretty neat, really. If I become the writer for something famous, I doubt I'll be giving my characters the names of the streets in my neighbourhood, because here the developers seem to have just randomly smashed together nature-ish nouns: Flower Tree, Apple Creek, Autumnfield, Cerdar Roc, River Tree...Nope. this public art is so Portland. This pet grooming salon is also so Portland. We stopped at Blue Star Doughnuts, which rumour has it has doughnuts just as delicious as Voodoo Doughnuts, but zero lines. We passed by a shop with the curious name "Mary Jane's House of Glass". I wondered if the shop belonged to some little old lady selling stained glass who had no idea how much this store name sounds like it should be a head shop, especially if it said House of Grass. As I stood there, pondering this, the store clerk poked his head out the door and waved us in. "Come on in, guys," he said. "We've got a lot of stuff in here, all handmade by independent artists." We felt too awkward to say no, so we went in. Turns out there was no oblivious little old lady named Mary Jane. It was a head shop, full of display cases of beautiful, handcrafted and hand painted blown glass bongs. Artisanal and locally made. It was like being at an art museum. But of marijuana paraphernalia. Probably the most impressive, almost classy head shop I've ever been to. But, like, I wasn't in the market for a collection of original beautifully handcrafted three foot bongs, so instead we politely chatted with the store clerk about the weather, our stay in Portland, with the owner inserting into the conversation for thirty seconds the fact that Portland will be legalizing pot very soon. All while I admired the artwork. I sniffed a few incense sticks and considered buying a candle, and eventually left. We kept walking east into the Pearl, Old Town, eventually crossing the Burnside Bridge into the southeast neighbourhoods of Portland. After a while, we needed to find a cab to take back to the other side of the river. This proved more difficult than we expected however. We stood patiently at the curb for a while, waiting to hail a cab, but no cabs passed by. Finally, we saw one taxi van driving passed, and we waved at him frantically. He saw us, and as we approached the van, he pressed the gas pedal and kept driving. We went back to the sidewalk, disappointed, and wondering how much longer we'd have to wait. And then the taxi van reappeared behind us, which was weird. Also weird was the fact that he was now willing to pick us up. But we didn't care. We piled in, feeling tired from our long walk. Looking back on this experience now, I have this theory that this wasn't actually a taxi. Maybe the guy stole a cab or borrowed his friends and was driving around. Or maybe this guy owned a delivery business with a business vehicle that just really looked like a taxi. I walked up to the van door and tried to get in, but the driver had his bag on the seat and did not make any attempt to move it. I stood there, politely waiting for a while, but when nothing happened, I just moved to the back of the van. There was a row of seats there, but they weren't folded down, and I couldn't put them down. The driver again made no attempt to move. Shrugging, I crouched down in the trunk of the van, like an illegal migrant. Just as I thought those words, the driver drove through a stop sign and an oncoming car swerved to avoid us. The driver slammed on the breaks and I lurched forward. The entire ride, the driver had not said a word. It was a near miss, thankfully, but maybe...maybe we should have walked. Luckily we were on the other side of the bridge and had arrived at our next destination, the Portland Aerial Tram. The Portland aerial tram is a cool cable-car tramway that gives its riders a gorgeous view of the entire city. It's a form of public transit rather than a tourist thing, but oddly enough it doesn't seem to go anywhere that useful for most residents - it just connects one health centre to another hospital further up the mountain. But it's a fun thing for tourists to do, for only about $4 roundtrip. Too bad Portland doesn't have aerial trams everywhere, including across the river, so that nobody has to cab with sketchy drivers anymore. The ride up the tram only took a couple of minutes, but the view was breathtaking. We could see the whole city and the surrounding forests. I especially loved the astonishing view of the mountains, including the gigantic Mount Hood and also Mount St. Helens, the still-active volcano that was one of the deadliest North American volcano eruptions in modern history. Why can’t Ottawa be set up with a series of fun aerial trams? Well, I suppose the lack of mountains might be one obstacle. After admiring the view at the top for a bit, we took the tram back down to the bottom, because apparently you aren’t supposed to actually hang around a hospital like it’s a tourist destination. In the evening, we checked out the Departure restaurant, a rooftop restaurant at the top of the trendy hotel The Nines. The interior looked like a sleek airliner of the future. You know, the kind of airplane flights envisaged by 1950s sci-fi movies where the flight attendants are beautiful, the women are glamourous, the men wear suits, and the walls are either padded white or made of shiny glass? Not the real-life modern airplane flights where you get crammed in like sardines in uncomfortable seats surrounded by crying babies and they don’t serve you any food. The Departure restaurant definitely served food. Delicious, delicious food, plates with interesting Asian (and often Korean) twists. We were seated next to somebody famous, one of the restaurateurs who has been featured on Anthony Bourdain’s TV shows, but like the polite Canadians we were, we didn’t make a big deal of it, and I won’t tell you who he was. Because I’m a polite Canadian, but also because I don’t actually know who he was.